Our top of the line model will exceed all your expectations, if you are looking for the real racing spirit. It represents the ultimate in luxury, handling and performance. 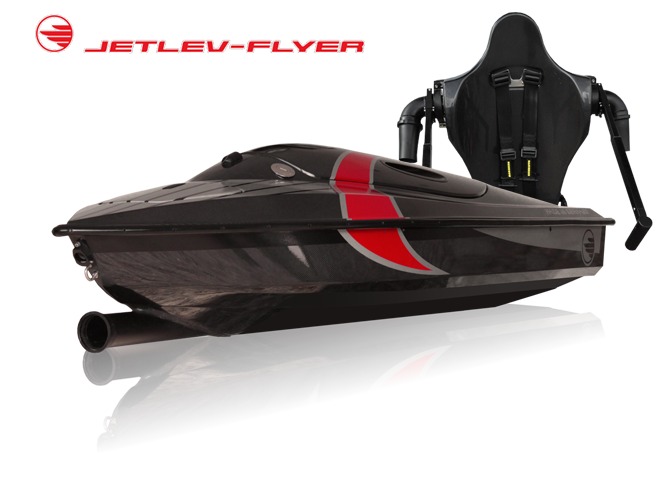 The JF-300 is definitely the fastest and most agile Jetlev-Flyer in the world. The JF-300 comes with a two years ltd. warranty for private use. Any activities involving speed, heights, water or power equipment are inherently risky. Jetlev flying is no exception, but our extensive research on relative safety indicates that this activity is less dangerous than common outdoor activities such as driving, cycling, riding ATVs or personal watercrafts, waterskiing, parasailing, downhill skiing, or even playing basketball.